Well greenies I have an announcement to make, I'm breaking up with my....MICROWAVE! You know that Taylor Swift song, "We Are Never Ever Getting Back Together"? Well that's a perfect way to describe my relationship with my microwave over the past few years. I'd go through phases where I would read how harmful the effects could be of using the microwave on both my food and my body and so I'd swear it off (break up). Then I'd go to work or be in a pinch and find myself being back to using it (back together). 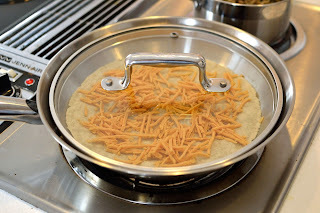 Then I'd read another health recommendation to reduce microwave usage, call it quits for a day or two (break up) and then go right back to it so I could get that perfectly melted cheese on my gluten-free tortilla shell (back together). As Taylor said, "This is so exhausting!" But this time things are different, my microwave and I are really never, ever getting back together! Call me crazy for abandoning the one appliance that nearly everyone has in their home and that is used daily, but I love a challenge and a few months ago I made the decision that I was done with my microwave for good. If you aren't ready for this in your health journey yet, don't worry about it. Bookmark this post and come back to this later. One thing that really gave me the kick in the pants to finally "end it" with my microwave is that I had just gotten a Trifield 100XE EMF Meter (which I can't wait to tell you more about in another post) for $140 off Amazon. 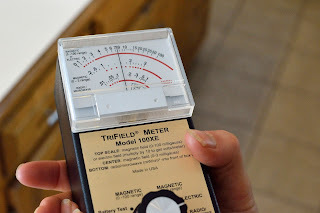 Anyways with this meter aside from measuring EMFs, I was able to also measure the microwave/radio waves extending from it and the second I saw the measurement jump right past the "recommended safe level" I knew it was time to say goodbye for good. 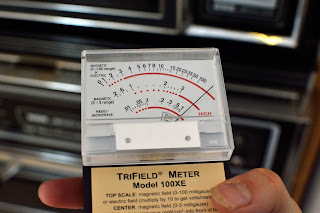 When switched to the "Radio/Microwave" setting, measurements are read in milliwatts, per square centimeter or mW/cm^2 for short. And of the three lines to read on the meter, we will look at the bottom line. As recommended by the manufacturer, safe exposure is when the dial is at or below .1 mW/cm^2 , per square centimeter, as shown by the dotted red line. Once you get to the solid red line, all the way to 1 mW/cm^2 that's in the high range (aka dangerous!). I'm not sure what it is about seeing numbers like that which actually convince you to make a change, but they sure do for me. 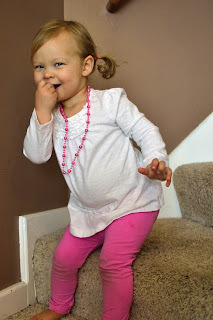 Back before I knew I had a gluten sensitivity, I went back and forth in my efforts to go gluten-free, but when I finally got the blood test back showing I had a sensitivity to gluten, it all seemed so much more pressing and real. This is how it was for me and my microwave. When I saw those numbers, I never wanted to press the "Start" button again. 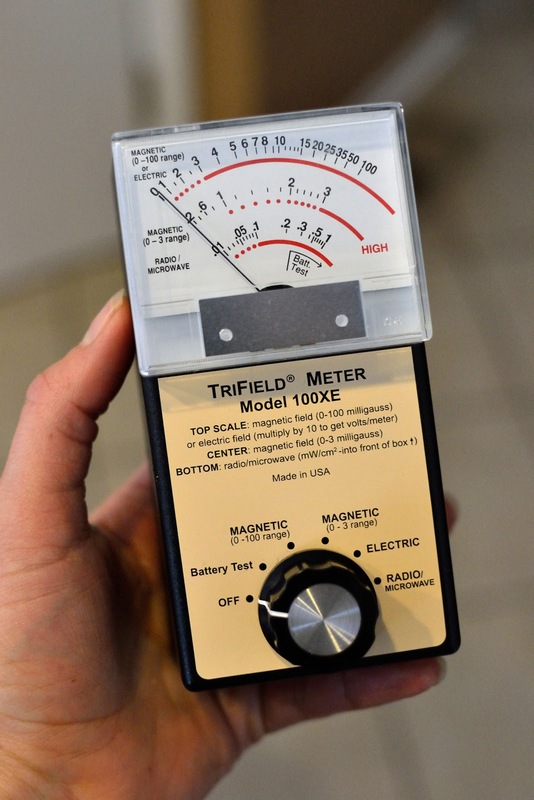 *Another tool that you could use to measure the radiation from your microwave would be something called an "RF meter"like this one, but those run about $200-400 so until I breakdown and buy one of those, I'm sticking with my Trifield Meter. *Last, all the appliances I mention below that I use instead of my microwave, are not completely innocent, they still measure high when it comes to EMFs when standing close to them, this is why just I still walk away from these when my food is cooking. 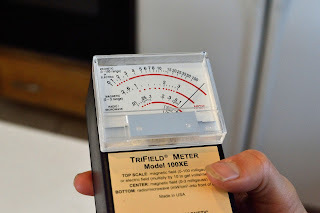 The one saving grace with these appliances is that although their EMF measurement may be high, they have emit no microwave/radio waves whatsoever. "Microwave ovens use electromagnetic energy that vibrates 2.4 billion times per second. This energy acts on the molecules in food, particularly water molecules, causing them to vibrate rapidly. This rapid movement generates friction and thus heat. 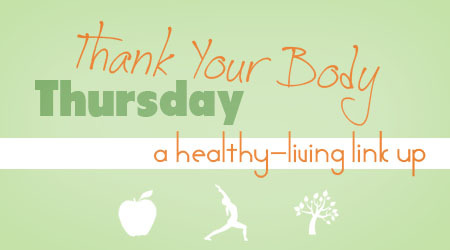 Vibration is so violent that molecules are often torn apart or distorted, thereby changing the chemical makeup of food." "Broccoli "zapped" in the microwave with a little water lost up to 97 percent of its beneficial antioxidants. By comparison, steamed broccoli lost 11 percent or fewer of its antioxidants." Losing nutrients from my food? What?! That makes me mad. I feel like I invest a lot of my health in my food, and to know that I am losing a good portion of it just because of the way I warm it up is very frustrating. Yes, yes, I know what you're thinking...any way you warm it up will lose nutrients. I agree with you that's true, but I just don't think it should be that much. "The nutritive value of microwaved food has been destroyed by the violent vibration of the water molecules (2.4 billion Hz) in the food. I am sorry to say this, but you are better off not eating than to eat microwaved food." So there you have it, some of the research and hard facts that I found in my journey to go microwave-free. 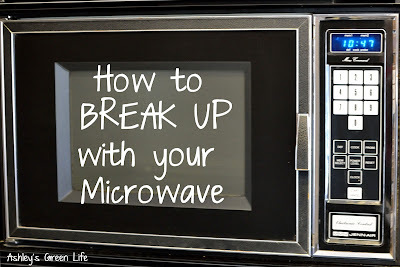 And while there isn't a lot of research out there about the safety and long-term effects of microwaves, I'm following my gut on this one and doing what feels right...breaking up with my microwave. 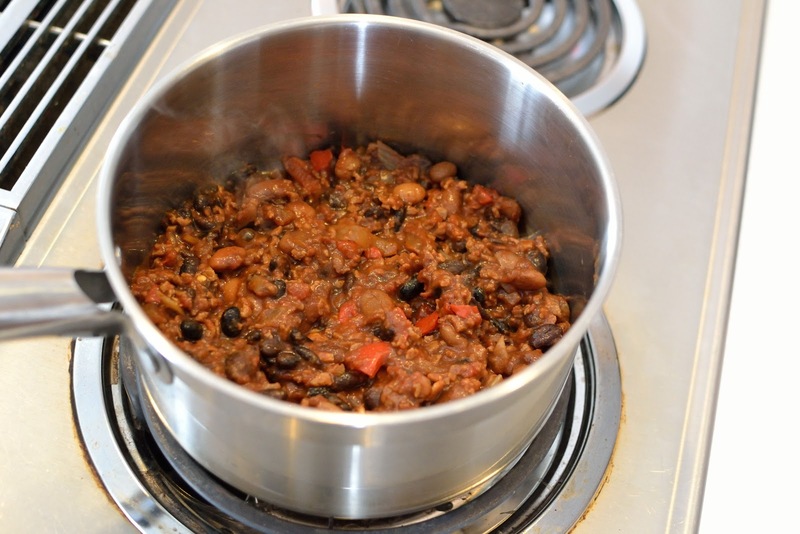 When thinking about how to re-warm up something, think about how it was originally cooked and then heat it in a similar way. Ex. Casserole in the oven: warm it up in the oven or a toaster oven. Soup cooked on the stove top: warm it up on the stove top, or with a single-burner hot plate. You will have to re-learn cooking times and temperatures. We are all so used to the microwave and how long it takes to warm up most food, so when we stop using it, it may be difficult in the beginning to know just how long and how hot to warm something up to. Is it 350 degrees, or medium high? Five minutes or fifteen minutes? My best advice is to start low and learn from there, start with a somewhat low temp and time and go from there, you might be surprised how quickly things can heat up without a microwave. Last, try to defrost frozen foods to a warmer temperature before trying to warm them up. You can do this by taking your food from the freezer and putting it in the fridge over night, or setting it at room temp for a few hours (use caution if you have any meat or dairy items so that they won't spoil). By getting foods to a warmer state, not a chunk of frozen food, they will be much easier to warm up when you're in a pinch. 1. Oven: Here's an obvious choice...your oven. 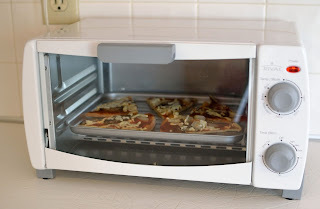 Often located just a few feet away, if not connected to your microwave, this is one of my favorite ways to warm up food. If I have anything that was originally cooked in the oven, and I'm at home, I will often use my oven. 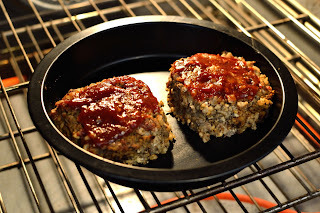 The oven is great for things like casseroles, meatloaf (like my vegan meatloaf shown below), fries, or many other foods. 2. Stove top. As I said before, if it was cooked on the stove top, this is usually my go-to when it comes to re-heating my leftovers. 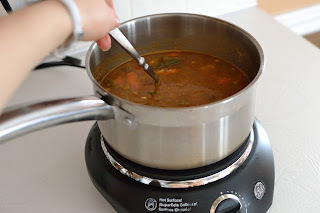 I make a lot of soups, chills, stews, and pasta dishes so I find that this method for warming up is the most versatile and quickest. One of my tips is the utilize the lid, this will help keep the warmth in when re-heating and will speed up cooking time. minutes. Then it is usually done. the tortilla is soft. Yum! 3. Toaster Oven: Call me crazy, but I'd never used a toaster oven before now... I guess I never had a reason to. But there were certain things like a veggie burger, pizza slices, baked potatoes, etc. that I was kind of stumped on how I could heat them up in a way that didn't soften them completely, but left them warm and a tad crispy (like an oven would)...BAM! Enter toaster oven. I love this thing. I can't believe that something so small can work so quickly and efficiently. I use this basic, no-frills model by Rival that I got from Wal-Mart for $19! I highly recommend this appliance for anyone looking to go microwave-free. Perfect for warming up gluten-free, vegan pizza! 4. 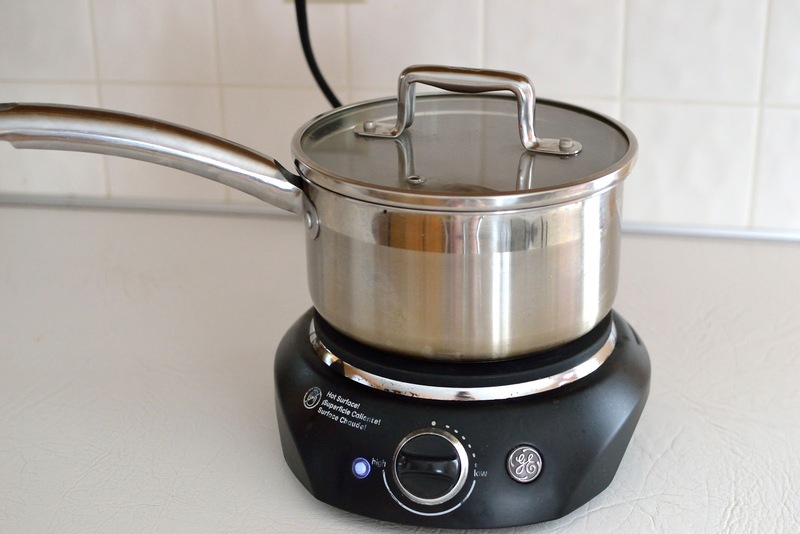 Single-Burner Hot Plate: I've had this little gem right under my nose for many years in my classroom, but I never put two and two together until recently that I could easily use it for warming up my leftovers. I had originally bought it so I could do cooking activities with my students, but now I also use it on nearly a daily basis for re-heating my food. This model by GE cost me $17, from Wal-Mart. Just as with the stove top that I use when I'm at home, this is a great option for things like soups, stews, burrito fillings, pasta dishes, or stir-frys. then check it in a about 5 minutes. vegetable soup) and after 3-4 more minutes it's usually ready! 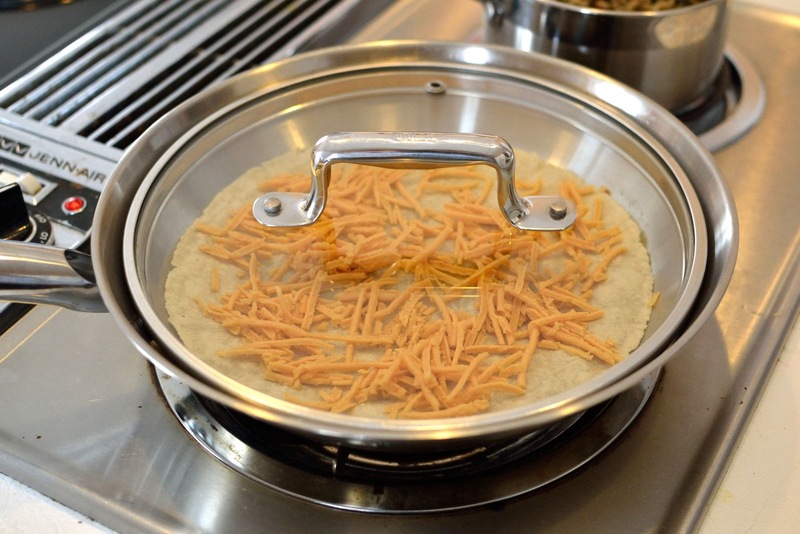 One word of caution with the single-burner hot plate: the whole hot plate does get hot, so use caution when cooking with it or touching it and I allow it plenty of time to cool down before storing it away for the day. 5. 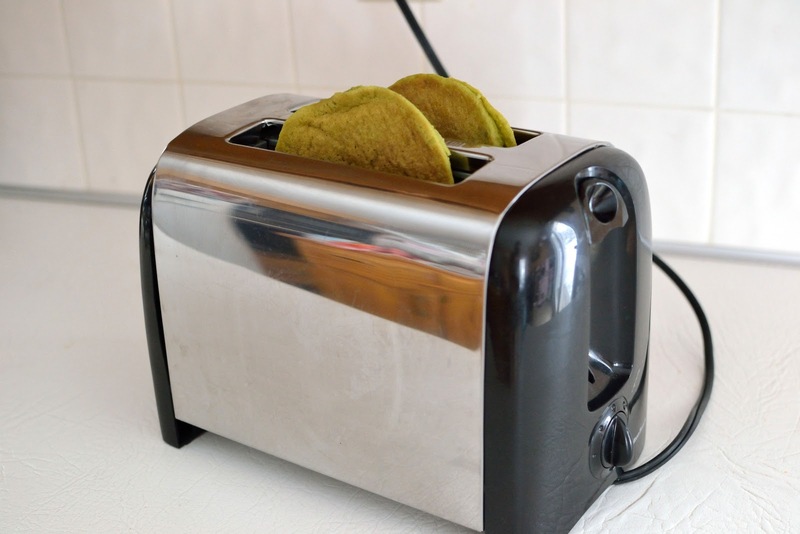 Toaster: Well this is an easy one that you probably already have sitting on your counter or in your cabinets. This inexpensive appliance is obviously a great way to warm up toast, but I've gotten creative since going microwave-free and I find that it also works great with pancakes, waffles, English muffins, and even veggie burgers if I'm in a pinch. Have you ever warmed anything unconventional up in the toaster? Sneaky Spinach Pancakes in the toaster? Oh yes! 6. 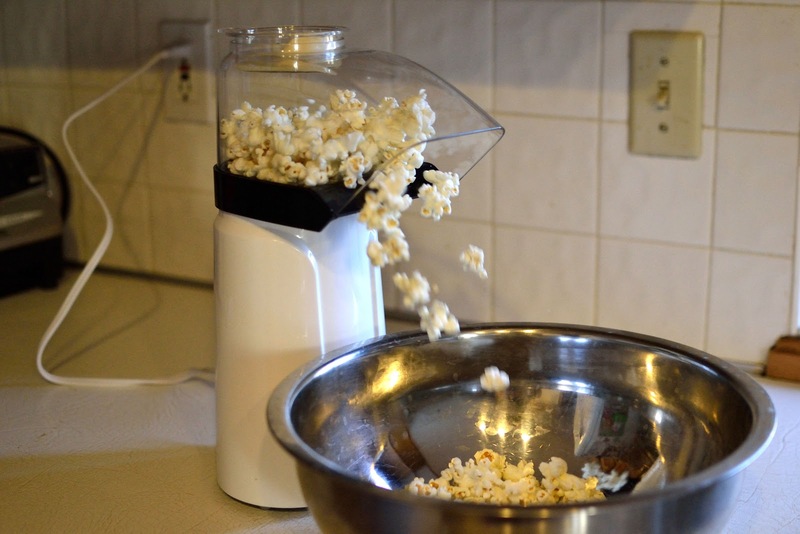 Air Popper (for Popcorn): Now that the microwave is out, you may be wondering how in the world are you going to make popcorn? 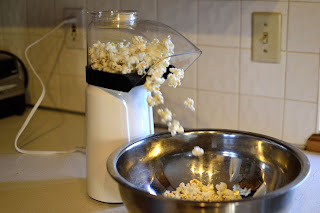 Well, those bags of microwave popcorn will no longer be of use to you...which is probably a good thing since the insides are coated with a nasty chemical called: PFOA (a known carcinogen, read more here) among other things. So what's a popcorn lover left to do? You could try an air popper! I have a Rival Electric Popcorn Maker ($20 off Amazon) and all you have to do is add some kernels, and watch it pop! 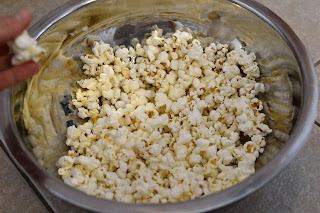 One of the best things about it, besides saving money (since you get so much more bang for your buck by using whole kernels), is that you also control the ingredients. So you can control how much butter, salt, oil, etc. you want to add if any at all. Stop using plastic containers to warm up your food, only use glass containers. Plastic tupperware and containers has been found to leach BPA into food when microwaved. Reduce the amount of times you use the microwave, and only use it when you have to (like at work or when you don't have any other options). Well, there you have it! That's how my microwave and I have parted ways. 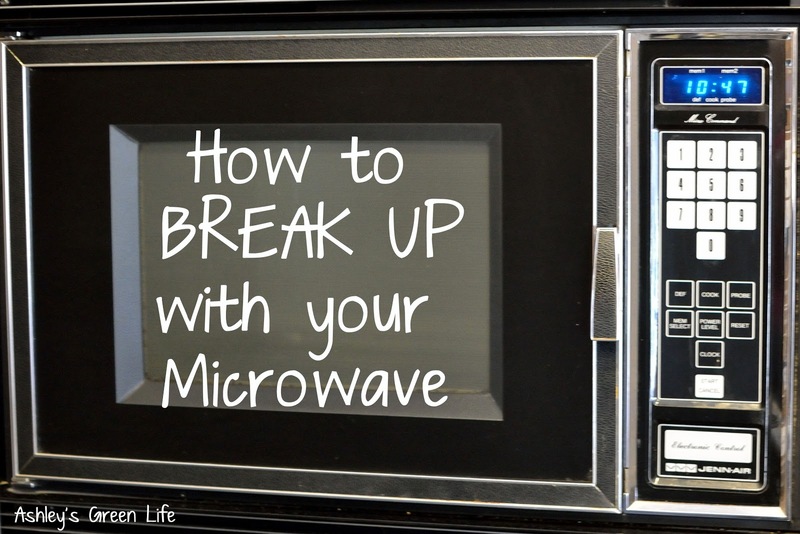 Anyone else ever "broken up" with your microwave? 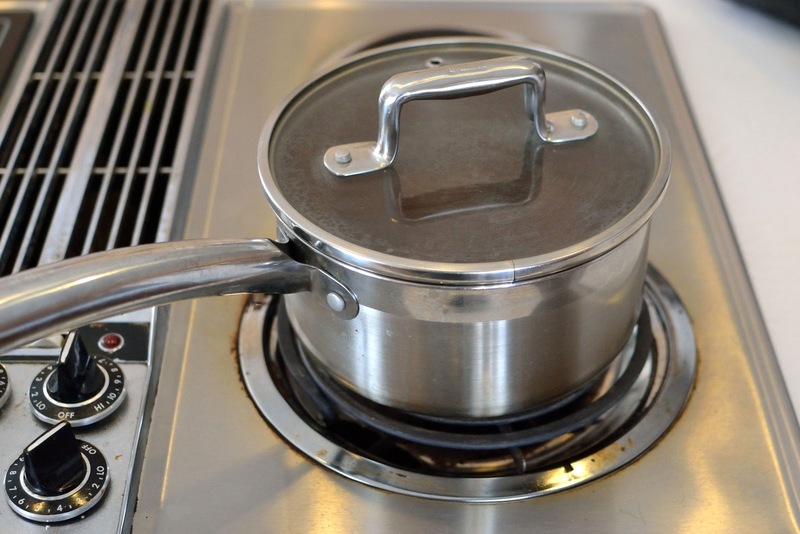 Share your experiences below or if you have any other favorite non-microwave appliances you like to use to warm up your food! 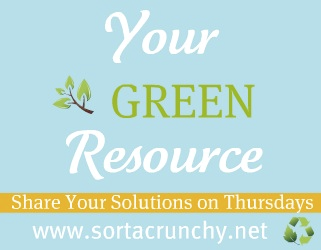 "Your Green Resource" over at A Delightful Home, Live Renewed, Sorta Crunchy, Red and Honey, Creating Naturally, and Simply Rebekah. 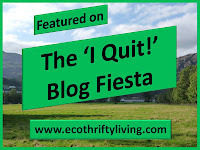 Frugally Sustainable as part of the "Frugal Days, Sustainable Ways Blog Hop."